Approximately half of your household waste is organic and can be turned into compost!!! Using compost in your garden will bind the soil and help it to hold water and air. As a result, your plants will grow better. 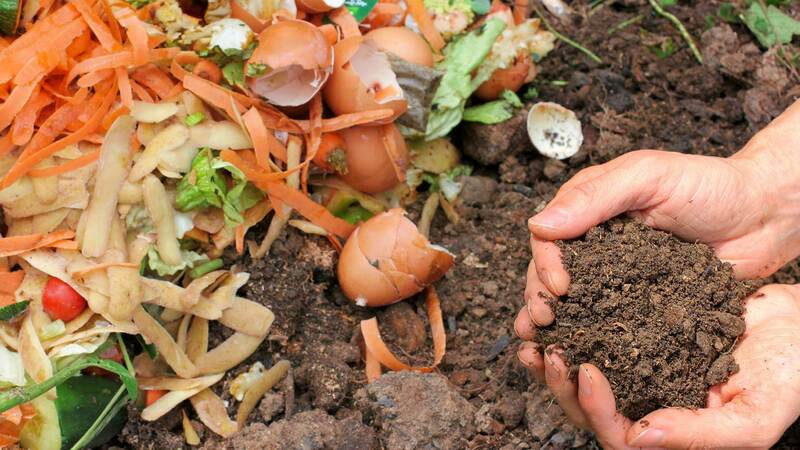 Turning your organic waste into compost also takes some of the pressure off Cape Town’s landfill sites, which are filling up fast. Most organic materials that will rot or decay easily will make good compost. Don’t add too many grass cuttings to the bin – this will heat it up too much. There are many ways to make a compost heap. You can use an old tyre with a board covering the top, build a box from sticks or poles and cover it at the top, or buy a specially made bin at a garden shop. Carry on adding layers of about 200 mm. The last layer should be soil, dry grass, leaves, or sawdust, as this will keep smells and flies away. After one week, push your hand into the compost. It should feel hot. The compost will be ready in about three months. A week before you harvest it, add some vegetable matter to bring the worms up to the top of the bin. Put the top part of the compost to one side. Use the rest of it in your garden. Restart the cycle by placing some compost on the shade cloth, and then adding the top half – containing the worms – that you took out first.